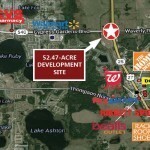 Shoppes of Cypress Landings is a proposed 252,000+/- square foot retail development located at the highly visible and signalized intersection of Cypress Gardens Boulevard (SR 540) and US Highway 27 in Lake Wales. This new development will feature a number of anchor tenants, movie theater, smaller retail concepts and popular eating destinations. It also has room for a hotel as well as entertainment and office users. 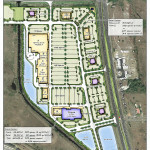 The development is just 3.5 miles east of Legoland Florida, a 150-acre interactive theme park, and just 8 miles east of the new CSX intermodal terminal known as the Central Florida Intermodal Logistics Center (ILC). 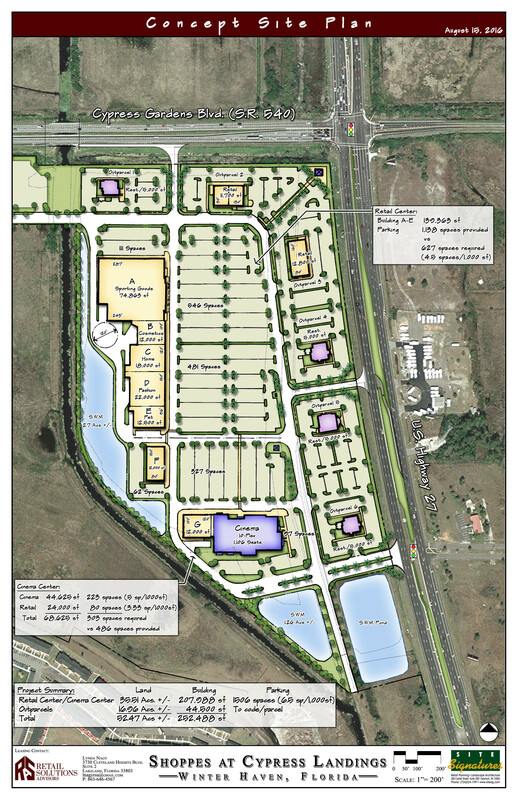 The 318-acre intermodal terminal is surrounded by 30 acres that is planned for development of up to 7.9 million square feet of warehouse distribution centers, light industrial centers, and office facilities.